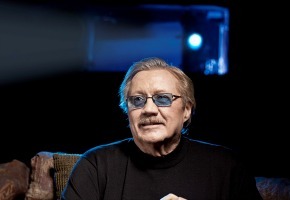 Proflific US Producer Glen A. Larson, best known for Magnum P.I., Knight Rider, Quincy M.E. and Battlestar Galactica, has died, aged 77. He died due to complications related to esophageal cancer, said his family. Larson had a string of TV hits in the 1970s and 80s, and dozens of writing and producing credits to his name. He created his first show, Alias Smith and Jones, in 1971. He co-conceived Quincy M.E. starring Jack Klugman which ran for eight seasons from 1976. He created Battlestar Galactica a few years later. Although the series only lasted a single season it was revived by Syfy first as a 2003 miniseries. Magnum, P.I. launched Tom Selleck into stardom and ran from 1980-88. He wrote and executive produced Knight Rider (1982-86), starring David Hasselhoff. He also created The Six Million Dollar Man (1974-78) and The Fall Guy (1981-86), both starring Lee Majors plus B.J. and The Bear, The Hardy Boys/Nancy Drew Mysteries, Switch, Cover Up, Automan, Masquerade, Trauma Center, Sword of Justice, Manimal and The Misadventures of Sheriff Lobo. The LA Times notes Larson’s formula was derived, in part, from studying both dramatic programs and comedies. He felt humour worked best when it was closely embedded in a protagonist’s unexpected situation. Larson earned three Emmy nominations during his long career, all for producing. Check out the Wikipedia feature on Glenn A. – seems he was not a popular person in Tinsel Town. I am pretty sure he did not create The Six Million Dollar Man. He wrote one of the pilots of it but that’s it.